Considering how visible skin is, it's surprising how often we overlook it. We neglect its care daily in numerous ways. Chief among them: gardening in the sun without wearing a hat, immersing hands in soapy cleaning buckets, and taking long, drying showers. The skin's outermost layer (the epidermis) rebels in kind, exhibiting lines, dry patches, redness, or spots. It's not a pretty picture, but it is an avoidable one. Doctors say the healthiest complexion starts from the inside, with the right foods and regular rest and exercise. It can also be well maintained from the outside, often with nothing more complicated than a few carefully chosen drugstore products. "There are now over-the-counter alternatives for almost everything we offer in the doctor's office," says Cheryl Karcher, M.D., clinical instructor of dermatology at New York University Medical Center. These products are not as strong as medical-grade versions, Karcher says, but they may be better for someone who wants to improve her skin without opting for more expensive dermatologic procedures. It's never too late or too early to care for skin. Being mindful of lifestyle factors that affect it, and also selecting the right cleansers, moisturizers, and sunscreens, can help you do the job well. The daily environmental assault on skin starts with the morning shower. Hot water and soapsuds break down the epidermis's protective lipid layer, the barrier responsible for keeping moisture sealed in. For this reason, experts advise showering for only as long as necessary and, if dry skin is a problem, using a creamy wash for the body. Look for a formula that is opaque and contains moisturizers such as sunflower-seed oil, glycerin, or shea butter. As for the face, "most women can get away with just rinsing in the morning or using a cream cleanser that you can just tissue off," Karcher says. "Women with oily or acne-prone skin should use a mild, nondrying cleanser," she says, one without harsh acids or exfoliants. At bedtime, cleaning with a mild wash is a must for all skin types, to remove oil, makeup, and the day's pollutants. People who use moisturizer should apply it immediately after washing, when skin is still damp. Very dry areas require a rich formula: Karcher recommends one containing a humectant, such as glycerin, to bind water to the skin, and an occlusive agent, such as petrolatum or mineral oil, to seal in that water. Exfoliating rough spots, such as the elbows, knees, and ankles, once a week with a gentle shower scrub, will help any moisturizer penetrate more effectively. For those with extra-dry complexions, Francesca Fusco, M.D., assistant clinical professor of dermatology at Mount Sinai School of Medicine in New York City, suggests using this simple mask whenever skin feels tight or appears flaky: Heat a rich, thick moisturizer in the microwave until it's just warm to the touch (a few seconds), apply it to the face, and remove it with a damp washcloth after ten minutes. Skin's cruelest enemy, however, is not dryness but sun damage to epidermal cells, which results in a breakdown of collagen (a protein that gives skin structure), wrinkles, brown spots, and, potentially, skin cancer. This is why scientists agree that sunscreen is both a youth serum and a necessity. The most effective ones carry a sun protection factor, or SPF, of at least 30 (15 is sufficient for days when the face and body won't be lingering in the sun) and are labeled "broad spectrum," meaning they guard against aging UVA rays and burning UVB ones. (Both cause cancer.) Make sure a formula contains the UVA/UVB blocker zinc oxide, says Leslie Baumann, M.D., director of cosmetic dermatology at the University of Miami's Miller School of Medicine and author of "The Skin Type Solution" (Bantam; 2006). Another ingredient worth consideration is the UVA blocker avobenzone (also called Parsol 1789), which is almost always paired with a reliable UVB blocker, Baumann says. She advises applying a teaspoon of sunscreen to the face "every day, even during winter and on rainy days." (A combined sunscreen-moisturizer is also acceptable.) Sunscreen should be reapplied after every two hours of sun exposure, and waterproof formulas are a must at the beach or the pool. Sunscreens and moisturizers spiked with antioxidants can help battle the effects of sunlight, as well as cigarette smoke, smog, and many other pollutants whose damage to skin cells can lead to dullness, sagging, and even skin cancer. Baumann recommends topical products that include the antioxidants coenzyme Q10 or lycopene (both available in over-the-counter products) or idebenone (available in some higher-end products at department stores). Antioxidant-rich foods may also help maintain the skin, Baumann says. Blueberries, pomegranates, red wine (in moderation), dark chocolate, and green tea are especially beneficial for those concerned with wrinkles, she says. People with dry skin might increase their intake of omega-3 fatty acids (abundant in salmon and flaxseed), which increase skin cells' lipid content. Dressing one's salads with olive oil and nuts, and even buttering bread now and then, is also a good idea. Severely low fat, low-cholesterol diets make the skin dull and have been linked with eczema. Leafy green vegetables, sweet potatoes, cantaloupe, and other foods rich in vitamin A can help ease acne. So can foods that are good sources of zinc, such as turkey, pork, and shellfish. As for drinking those heralded six to eight glasses of water per day, most dermatologists say this may reduce the appearance of fine lines and under-eye circles, but only in someone who is dehydrated to begin with. Even the most exemplary diet will do little good if the blood can't properly deliver nutrients to the skin cells. Regular exercise, Fusco says, "increases circulation and helps the body eliminate toxins more effectively, so that skin looks less dull and under-eye circles are less obvious." What's more, an increase in heart rate gives the skin a rosy glow. The corollary to such advice: Know when to stop moving and relax. "When you're tired, circulation is usually more sluggish, which is one reason the area under your eyes usually looks bluer," Fusco says. Skimping on sleep also prompts the body to secrete too much of the stress hormone cortisol, which slows the skin's immune system and ability to regenerate properly. Consider sleeping on your back; side-sleepers develop more cheek wrinkles over the long term, Fusco says. She also recommends propping your head on two pillows, to prevent fluid from pooling and forming under-eye circles. Before bedtime is an ideal moment to apply moisturizer and other treatments. Whatever you apply at night will be absorbed for several hours without being adulterated by makeup or sunscreen, Fusco says. "This is a fantastic time to treat the face." Labels on skin-care products come with their own vocabulary. Drs. Baumann, Fusco, and Karcher offer a rundown of several of the most prevalent and effective ingredients. Found in cleansers, exfoliants, and lotions. These acids help break down and remove dead skin cells. At-home peels with AHAs, such as glycolic acid, can decrease brown spots and smooth fine lines over time. Research shows that these acids may also spur collagen production. Be aware that the acids also increase the skin's sensitivity to sun. Substances that diffuse free radicals generated by exposure to the sun and other environmental hazards. What are free radicals? These are molecules that have an odd number of electrons; they try to "steal" electrons from healthy cells, causing damage that results in premature aging and may lead to some cancers. Plant-based extracts that have healing properties. Chamomile, for example, can decrease puffiness around the eyes. Feverfew can reduce redness. Used in cleansers, masks, and more. These can slough away dead skin cells, decreasing dullness. Building blocks of proteins, which may be able to help stimulate collagen production and prevent breakdown when applied topically. 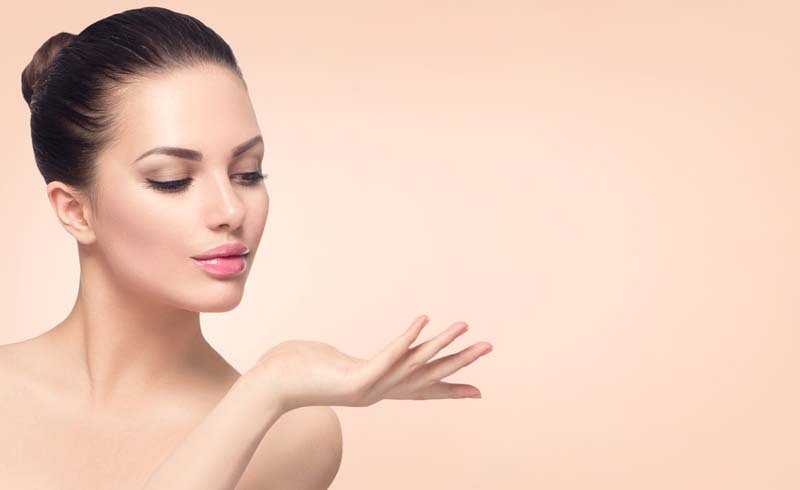 Larger molecules called hexapeptides and septapeptides may inhibit the contraction of the tiny facial muscles that cause fine lines, but the jury is still out. Vitamin-A derivative. Retinol has been shown to prevent and improve the appearance of wrinkles. It's very sensitive to air and sunlight, so retinol products that are packaged incorrectly may lose their potency. Look for products that come in a foil tube that has a small mouth.